Anxiety is a normal part of everyday life when it is experienced occasionally. It is a response to a feeling of threat to your safety and your body and mind react accordingly, producing the unpleasant like symptoms. However, when these feelings become more frequent, are felt more intensely and start to hinder your day to day life, the anxiety is known as an anxiety disorder. These bouts of persistent anxiety, worry and fear can also show up for the person as a panic attack, which is when the feelings of fear build up to such an intense peak, they consume the individual with sheer panic which can feel as though something really bad or life-threatening is about to happen to them. When anxiety has reached this level, the feelings can become chronic, and persist in interfering with a person’s life to the extent that quite often, the person suffering makes changes in their life to avoid certain situations that may trigger their anxiety. This can happen to men, women and children or teenagers. 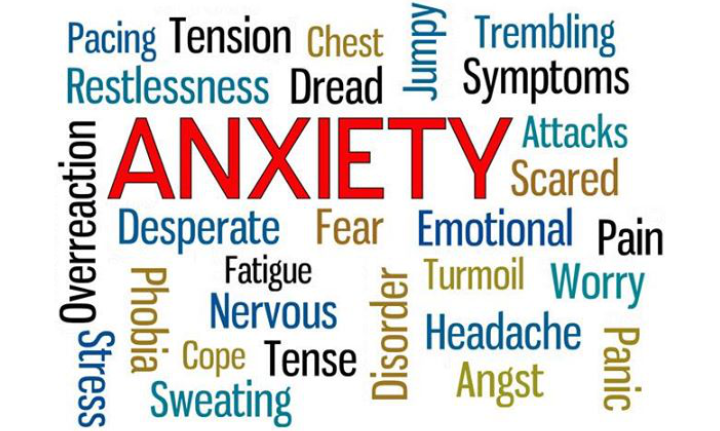 Anxiety disorders can be labelled as by medical professionals as some of the following; Phobias, including Agoraphobia and Social Anxiety GAD or Generalised Anxiety Disorder Panic Disorder Separation Anxiety Disorder in children Anxiety linked with medical conditions such as heart disease, diabetes, asthma, chronic physical pain or substance abuse It’s time to get professional medical help when the anxiety is affecting your life, relationships and you are feeling anxious a lot of the time, and it’s hard to control. Depression and anxiety tend to be best friends so if you have low mood as well, or struggling with the addiction to drugs or alcohol, or you are experiencing other mental health issues alongside the anxiety, it is certainly time to seek support and counselling will help address what you are experiencing. Please seek help urgently if your thoughts or behaviour become suicidal. Sometimes feelings of anxiety do not go away on their own, and it can be very beneficial to talk them through with a trained counsellor or another relevant professional. Anxiety can be related to many different possible life events and circumstances as well as medical conditions. Traumatic events or abuse, certain personality types – the “born worrier” and a build-up of prolonged stress. • Train your mind to rationalise your worried thoughts by thinking soothing thoughts such as…” I may be feeling bad right now, but my deep breathing will calm me” or “I am going to observe how I feel and give myself compassion”.